An original estate home, built in 1867 houses our dining rooms, meeting room, and our lounge with a wood burning fireplace. Our renovations and upgrades combine modern luxury with nineteenth century charm. The Manor has five king-bedded guest rooms. Each Premium Manor King room is unique in design, but all feature original moldings and eleven-foot ceilings. The Luxury Suite is a part the Manor, but has a private outside access. This large, king-bedded suite has a balcony overlooking the grounds, a large living room with a wet bar and a whirlpool tub. 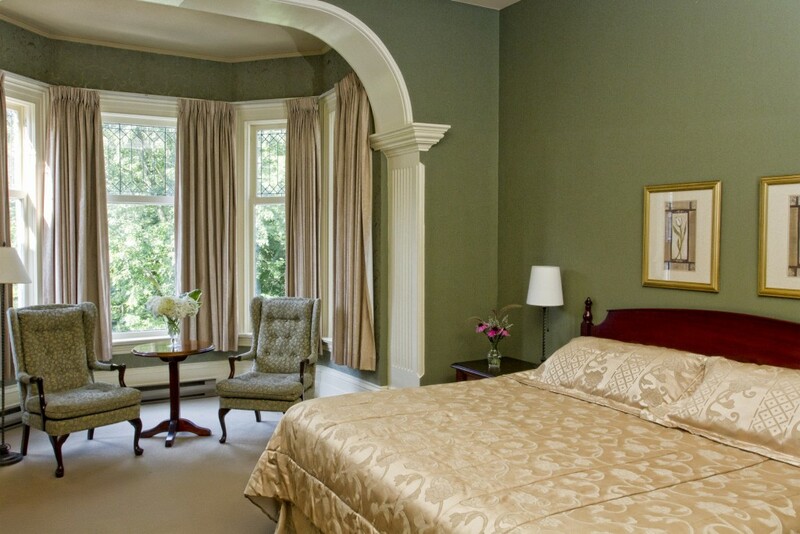 This suite is also known as the Christopher Plummer Suite, as this was his preferred room when he stayed with us while he was performing at the Stratford Festival Theatre. All rooms feature breathtaking views of our landscaped grounds and individual features. One has floor to ceiling bay windows, one features an ornamental fireplace and one has a walk out balcony. The suite is furnished with a king bed, a sofa bed and has a balcony overlooking the landscaped grounds; a large living room with a wet bar is also featured in the suite. The bathroom is nicely appointed with a whirlpool tub. 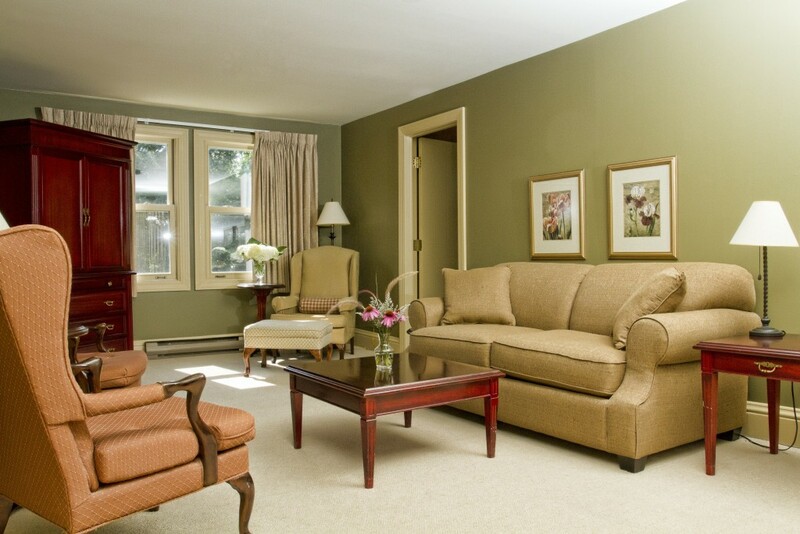 The suite is a popular attraction for couples on honeymoons and those wanting the finest the Inn has to offer.